Tactical Ops Game Review - Download and Play Free Version! 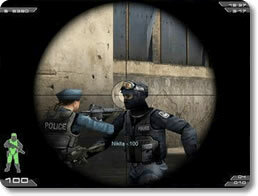 Take down terrorists in this 1st person mutliplayer shooter similar to Counterstrike! Great graphics and audio qualities. Nice range of realistic weaponry. Single player missions along with online multiplayer. Difficult to tell the difference between the terrorists and Special Ops. Level objectives are often unclear. Online population is dwindling because this is an older game. Menus are unclear and difficult to figure out. In Tactical Ops: Assault on Terror, you are cast into the deadly world of counter terrorism. Powered by the award-winning Unreal engine, this game will is not for the weak of heart. You are a member of the elite Special Forces unit. You must stop terrorists from killing hostages and escaping. You can also try a different perspective and play as a terrorist, where you hunt down Special Forces units to try and prevent them from rescuing hostages. In the performance round, teams are awarded cash. This money can buy new weapons, items, and inventory. A nice range of weaponry from assault shotguns to heavy assault weapons to sniping rifles! In Tactical Ops you are a member of an elite Special Forces unit on a quest to rid the world of terrorism. This First Person Shooter (FPS) is graphically one of the best on the market, paying close attention to detail, while also excelling in other facets like single player missions and realism. Fans of FPS will love the gameplay and counter terrorist theme, while new players will certainly find ways to get acclimated and learn this game quickly. 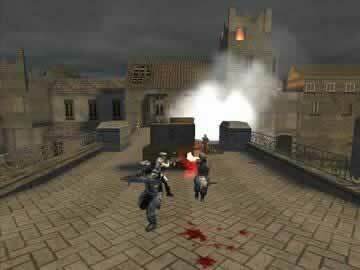 This semi-realistic First Person Shooter game is similar to, and competes with the timeless anti-terror game “Counter Strike”. In Tactical Ops you choose to compete as either a highly trained terrorist group or members of the elite Special Forces. The game is broken down into rounds and in each round you are presented with a mission and objective. If you are in the Special Forces you might be expected to diffuse bombs the terrorists have implanted, while simultaneously killing the foe and collecting “dirty money” and illegal drugs. 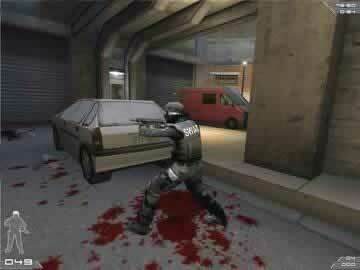 If you play as a terrorist your goals shift and you might want to plant a bomb or carry out other acts of terror. The single player games are broken down into rounds, with two teams trying to compete opposing goals while also killing the opponents. Each round is about 3 minutes long, and in the round you have only one life, being re-spawn after the round is over. If you do die in a round your camera follows the movements of your teammates. Each round you collect money as you play. This money is found throughout the level, earned for turning in illegal drugs, collecting “dirty money” from your enemies, or is rewarded after killing your opponents. At the start of the next round you can exchange the collected money for new weapons, grenades, ammunition, and protective gear. In total there are roughly 20 different weapons, ranging from 9mm pistols, to single-pump shot guns, uzis, and sniper rifles. Upgrading your weapons and protective gear is well-worth the small price. Typically you'll make more money per round than you'll spend, and the added help will goes along way. The single-player mode has a lot of maps, however, is not the most extensive of FPSs. The objectives map to map differs slightly, but are relatively the same. There isn't a campaign that will have you on a constant challenge, killing foes along the way. This is strictly team based and broken down into multiple rounds. The multiplayer and online options add to the game, but like in single-player are just extensions of team/round play. Playing players online is a great way to increase your abilities and see how you stack up against others in the world; however, this being an older game, the online community is dwindling at best (much less extensive that Counter Strike). As far as gameplay is concerned, Tactical Ops is better than adequate. The player movement is relatively smooth and realistic, despite the sometimes “bunny-like” jumping. The graphics are spectacular and the maps are well designed, paying attention to even the simplest of details. The controls of the game are custom with default settings designating the WASD keys for movement and the mouse for aiming. The controls are easy to figure out, and aiming as well as changing weapons (controlled with the wheel on the mouse) are easy to maneuver. Difficulties of the game come into play with layout of the menus and the displays. Getting started and knowing exactly what you need to do is hard to figure out because of the poorly designed menus. Other drawbacks are more feature related. Not having a campaign mode or more variation between the modes and objectives is very limiting. A campaign is a simple addition and would improve any FPS game, especially one of such graphical quality. Overall, Tactical Ops is a good game that has flaws. Despite these flaws of poor menu layout, or lack of variation between modes, the game is enjoyable and more than adequate. Though it might not be better than Counter Strike, it's sleek look and smooth gameplay put up a great fight against one of the most popular FPS games ever. If you are looking for a round based shooting game, especially one with a counter terrorist motif, this is perfect for you. The suggested content and gore make this a game not suitable for all users. Publisher created video showing gameplay clips.